Partners Crystal & Brandon are living their dream of the homestead healthcare experience! We believe that herbal medicine is universal healthcare–it is empowering, healing, and environmentally sustainable. As herbalists, we know how available and reliable herbal medicine is and it is our passion to share the joy and ease of incorporating natural therapeutics into your daily homesteading experience. You have a universal right over your health and happiness. You have an obligation to help care for the earth and others. Join us on this amazing adventure into nature and back to the basics. Crystal Honeycutt is a clinical herbalist and traditional naturopath. She specializes in family medicine, autism, psychosomatic disorders. She loves being a mother, gardening/wildcrafting with her family. 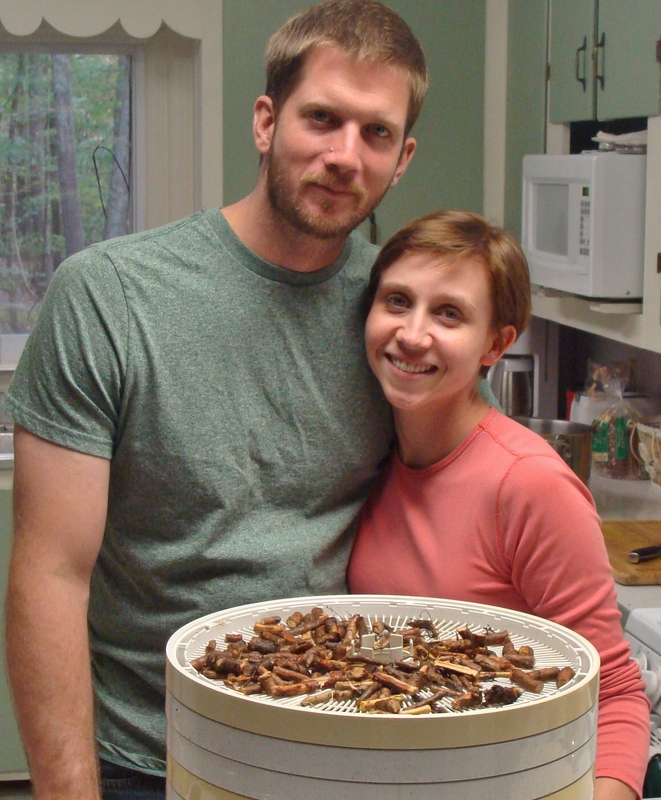 She is currently being challenged by lacto-fermentation…. Brandon Thomas is a herbalist/arborist. He specializes in tree medicine, herbal medicine formulation. He loves outdoor adventures, gardening/wildcrafting, and climbing trees.